I received an email this week about how important it is to keyword on Pinterest. The previous week I received one asking about the best places to keyword. And then someone posted an article in my Facebook group about their new strategy to keyword their pins. It sparked a great discussion but a lot more questions. 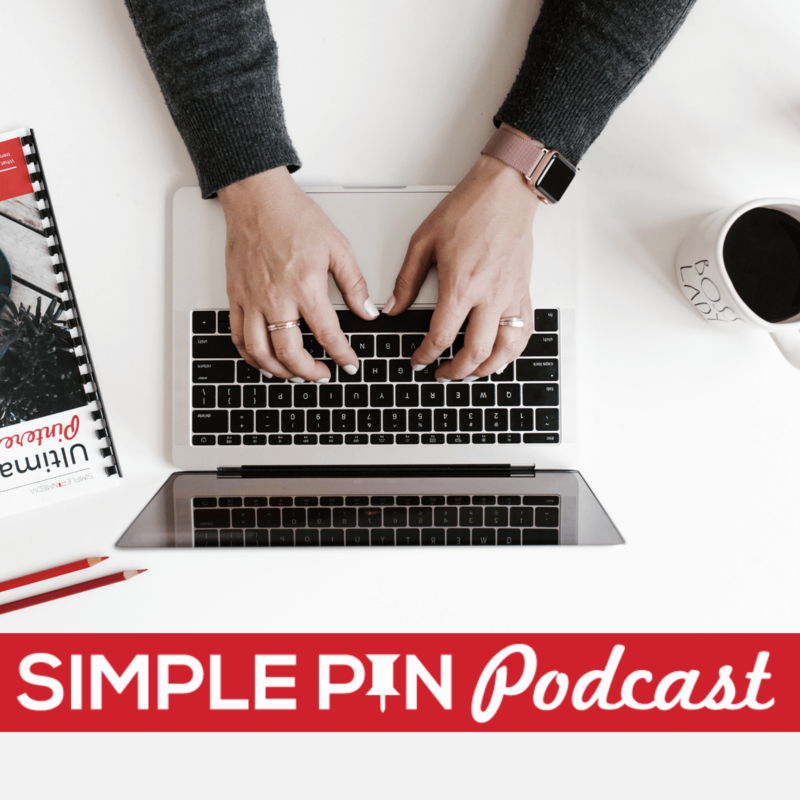 So I figured it was time to do a podcast and post about keywording on Pinterest and the what, why, where and how. Alright, let’s dive in. Keywording is a process of adding specific words from your niche allowing Pinterest users to find the content they are searching for. Learn more about SEO and Pinterest here. It’s a way to help organize content. For example, if I’m a user searching for DIY Floating Shelves, then Pinterest will pull all pins with those words in the pin description. They may pull other relevant content with DIY, Shelves, Floating, etc. Their platform is still evolving so you may get a few items that are not directly related but it’s going to get as close as it can. Moral of the story? Be specific and strategic with keywords. It’s not a way to game the system. It’s a way to ensure the right people find your content. And don’t sweep wide here. I’ve heard people say you should maximize for all areas — quotes, food, DIY, Style, Fashion, etc. However, if none of those areas have your target person, do not keyword for them. Be specific and strategic with keywords. Let’s say you have a very niche business and you’re looking to target a specific person. You want to make sure a mom, early 20s, 3 kids and a job finds your content about being a stay at home mom. You would add specific keywords to help her find the articles you know will give her the tools to be effective in her daily life. For me, I want to specifically target people interested in Pinterest marketing and management. Truth be told, I need to get better at utilizing those keywords in my pin descriptions. That will be my action item. Learn keyword and image secrets from Pinterest analytics. Use simple words that fit into your niche. I used to say break it into three parts and add personality, but now that Pinterest has dialed back what you see in descriptions, it’s best to be brief and straight to the point. Yep, I did. In August of 2017 Pinterest said, hashtags are a go on the platform! You can listen to the video update and hashtag podcast to learn more. Also, listen to this podcast on the best way to use hashtags in your pin descriptions. Remember the end user is mainly looking at the image. If the image gives them all the information they need, they will look there first. If the image is blank they will look to the description. They don’t need fancy. Learn how to create images that capture the Pinner’s attention. Okay, so the very first place we always optimize images is on your site. When you write a post, speaking specifically to those using WordPress, and you add an image, you will want to put your keywords into the alt-text. This can be edited at any time. So if you have a certain alt-text in an older image that you want to update, it is perfectly fine to update it now. Note: There are two ways to do this now using the Tasty Pins plugin. If you want to understand more about the Alt Text and Pinterest text listen to this episode about SEO and Pinterest. It will make WAY more sense after listening. So why do we want to keyword this first? Because when someone pins your pin, this specific alt text will be pulled up as the description that ‘travels’ with the pin. Example, you’ve just created this amazing post about DIY Floating Shelves and spent hours on it and you’re so excited to have it rock Pinterest. You release your post and people start pinning it but the alt text says “image o8315”. Whoops! And if you don’t have Rich Pins, then people really can’t tell what it is beside the image. And Pinterest can’t read the keywords in the pin description because they were in the alt text. See where I’m going with this? If you don’t know where to start in updating older posts with the alt-text, I suggest going to pinterest.com/source/yourdomain.com and looking at what people are pinning from your site. You will quickly see which posts need to be updated. If you’ve already filled in your alt text, you won’t have to do anything when you pin a pin. However, if you want to upload a pin directly, you will need to add a pin description. Here’s how you do that. I have a planner landing page for my 2018 Pinterest planner. I have 3 different images that go to that landing page. I would like to pin all of them to my simple pin board. I upload the first image and then I’ll need to add a description to the pin. Once I do that I can add the pin and then edit it to add the URL to my landing page. This is one of the only times you’ll need to add a pin description. Or you can edit them on existing pins. Note, when you edit it will not automatically update existing pins. It’s a one at a time kind of thing. Your profile is a great place to add keywords and it’s one that is often overlooked. There are two places you can add them. I have Simple Pin Media with the keyword marketing next to my name. Next is your profile description. Use this section to let them know how you’re going to serve them with the type of content or niche you are. You can use the same keywords you used in your business name. Use simple words but consider who your target person is. You are under no obligation here to sweep wide unless of course, your audience is wide (like in the case of a lifestyle blogger). But if you’re more targeted to the DIY home project crowd, be specific in the type of titles you use for your boards. Maybe every board title has DIY in it. Get creative but be consistent. Key takeaway: the goal in keywording is to target your audience. This is a place where you will tell the user what you will pin on the board. Be smart about writing complete sentences. You can add several sentences here, but I wouldn’t spend too much time doing that. 2-3 is perfectly acceptable. The goal in keywording is to target your audience. To attract the person you want to see your content. 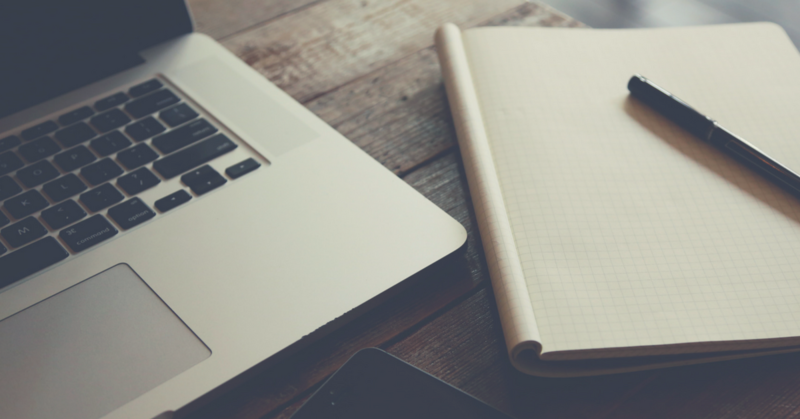 If you’re stuck on which keywords to use, start with a simple list. Or start with who that person is and make a quick story about them and their lifestyle. Then come up with a list of boards to create or update. You can find tips for updating your boards and a quick cheat sheet in my How to Clean up Pinterest boards post. Once you get your target audience clicking on your pins and over to your website or product page, make sure you are using something like the Milotree app to convert them into Pinterest followers. If they like your content enough to click over from Pinterest, make sure you have a way of helping them stick around! Glad to read your wonderful post and I totally agree with your informative points. The key to Pinterest SEO value starts above our entire profile. It’s no secret that SEO is an extremely important part of any marketing mix. The right keywords, linking to the right content, shared to the right sites, help us to domain rank higher in search. Keywording is considered as best practice to target our valuable audience. You have arises effective sub topic to make us understand whole details regarding keywords in Pinterest. Eventually, thanks for sharing your experience with us. Thank you so much for this helpful post and podcast, Kate! Looking forward to getting started with this project! I’m looking forward to it too! 🙂 Let me know if you need any help. Kate, I really ♥♥♥ your site! I like that the info in each post is targeted, using only the necessary words and flows like a well-planned diagram 🙂 🙂 :). I’ve seen a lot of people doing this, and I have to say, it’s ugly from a user’s perspective. Looks like what we called keyword stuffing in the old days of SEO. And it backfired eventually when Google got smart to it. I think this strategy, while it may work now, may see the same result in the long-run. For that reason, I’m sticking with very user friendly, readable descriptions that are keyword rich without looking like a keyword museum. I will say that your example uses just 4 keyword phrases, and I’m seeing bloggers use 15-20 different keywords and keyword phrases. While your example seems okay, there are people taking this advice to an absurd extreme and making ridiculous looking pin descriptions. I totally agree with you. I like to keep mine simple and to the point. I do like the descriptive ones still but with Pinterest cutting off the description at a very short character amount I realized that less is more. The other thing to consider is that basic users are really only looking at images. Just this weekend I spent time with a friend looking for a specific tile on Pinterest. We were looking less at the description and mostly at the image to find what we needed. All the descriptions listed were very short, to the point and gave us exactly what we were looking for. I’m with you that it’s discouraging to see people keyword stuffing and I think any extreme measures always backfire over time. I’m a new reader and listener. Also using the planning guide you put out for the year. Loving every tidbit of information and love how niche specific your business is. Thanks for all the great info. As a note about the possibility that keywords are trendy, I have to disagree. Like you mention, most people don’t read the descriptions. When I go to google images on occasion, there are no descriptions to be found. I could even see Pinterest phasing out them all together someday. Who knows! It’s still such a young social/search platform! Looking forward to more quality posts and content via the podcast. Welcome! I’m so glad you found me and that you’re using the planner. It will definitely be interesting to see which way they go with keywords! Thank you for this wonderful post. I am a newbie and am looking for a way to get more traffic to my blog using pinterest then I happen to land on your page. I must say I really enjoyed your post and hope it will be helpful to me. Hi, thank you for this great resource. For now, my alt-text for the blog post image is optimized for SEO (as in, so that it ranks well in Google). The problem is, this keyword is long-tailed (and perhaps rarely people search for such a specific phrase). Is the order (which one comes first) important? From what I’ve observed order is not important. You could definitely combine the two. Kate, thank you very much for the valuable content on your blog. Thank you for good information about Pinterest!! I don’t use keyword for Pinterest. Only hashtag. Are these different? Oh my goodness – thank you for teaching me about Pinterest keywords, Kate! I really enjoyed reading this article, as it’s given me some insight I needed more than I thought I did. I can’t thank you enough for these tips! Not every photo, only the Pinterest sized images that you think users would click through to your blog. You can pin other people’s pins but it’s not necessary. I have been using Pinterest for a year but did not have this knowledge that I just got from your post. Thanks a lot. The most important reminder here is placing the keyword in the alt text. This is often overlooked. Great info here Kate. I subscribed to get more useful info from you. Keep up the good work. Thank you for good information! Although I started using Pinterest, I didnt know how it worked. I tried pintrest again! Thanks Kate still trying to figure out Pinterest. Great info and I definitely have a lot to learn. The Alt description is gold. Now just have to go back and keyword them up. Hello, thank you for this refreshing guide. I have a question. Normally, I upload all my pins directly, so I enter the description manually. If I upload a pin which is linked to a travel guide to India, for example, should the description have all possible keyword combinations? It should have all keywords available in a well written sentence. Hi Kate! Thank you so much for this info on keywords! I am fairly new to blogging and using Pinterest in this way. I need all the help I can get! You’re welcome! Hope it helps you grow on Pinterest. very nice article on Pinterest. This will very much helpful. Great tips! thank you!! How should you separate out keywords in the alt text and then in painters? Is there any difference between using “,” (commas) or ” | ” (the line)? I just listened to this podcast today, great info, thanks Kate! I’m glad you also have it all written out here with screenshots. I have used Pinterest before, but not for years and I only used it for consuming content. Now I’m following your course and podcasts and I’m going to start using it much more intentionally for my business. I need to find your article on cleaning up your pinterest boards first and implement that, LOL! That vertical line character ( | ) that you love so much (I do too) is called the ‘pipe’ character in geek-speak. I have a computer science degree and I’ve been working as a web developer for about 20 years, so that’s how I happen to know this rather obscure fact. I love it for exactly what you are using it for, a separation character. Aside from it’s programming applications, it doesn’t have a meaning or significance assigned to it, which makes it perfect for what you are using it for. It makes it obvious that these are two separate things (on either side of it) but it doesn’t take up a lot of space and doesn’t call too much attention to itself, just enough to get the job done. Great post! I hadn’t realized Pinterest now allowed hashtags. I have a question about keywording that I can’t seem to find an answer to. I’ve been using Pinterest for business for my blog, so one part of the pin comes from WordPress automatically and then I’ve been adding keywords to each pin. I was under the impression that these keywords could not be changed when the pin is repinned but I’m now realizing that’s not the case because I’m technically just adding them into the description and anyone can change descriptions. Is there, or was there, a way to add keywords that cannot be removed from the pin? I’d love for it to remain searchable! I believe I got this information from a Pinterest webinar a while back but now I’m wondering if I misunderstood. Hope this question makes sense. Thanks in advance for your help, Kate! Thanks for providing info how to target keywords on pinterest. Thanks a lot. Hope you always do well and sharing such info ever. the moment this time I am visiting this website and reading very informative articles at this time. Very helpful and detailed post. I didn’t know about the adding the keyword to your image “alt text”, definitely going to update all my images now before i pin.